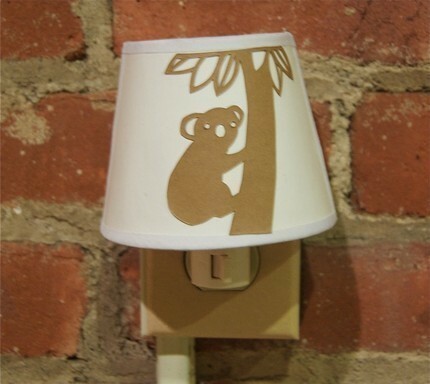 Rachel Weber of Fog and Thistle, [edit: site and Etsy shop are no longer available] who makes the wonderful, hand-cut paper night lights I posted about a few weeks ago, is celebrating her Etsy shop's second anniversary with a night light giveaway. For a chance to win, visit Rachel's shop and then leave a comment on her blog by Saturday night at midnight, naming your favorite light design. 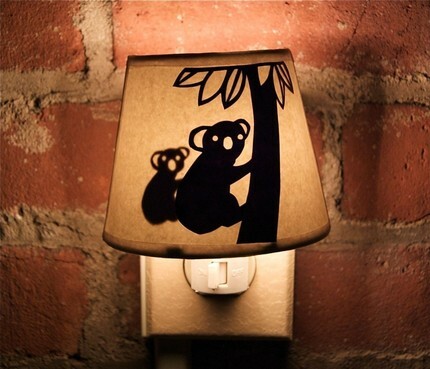 This Koala Love design happens to be my fave... in the daytime Momma Bear is alone, but at night she's magically joined by her cub. Cute! Thanks so much for spreading the word about my giveaway, Ann! oh what fun! i am off to enter. thank you for posting about the contest! i love her work! I love her designs. I guess I'd have to be partial to the doggie one though, because my daughter Maddie is a dog fanatic. I'm heading over to Rachel's blog now.